We, as parents, have taken due cognisance of how supported, safe and comfortable children at NAFL-NPS feel. We whole heartedly applaud the exemplary commitment demonstrated on a daily basis by all teachers to ensure that the pedigree of NPS shines through every aspect of the school. The relationship driven approach to education is what makes NAFL-NPS stand out. We feel really blessed to have our son attending NAFL-NPS. Each day, as soon as I enter the school campus, I am greeted by such friendly, engaging and nurturing educators. They take the time to know each child and their families so that both children and parents are comfortable. Each day we hear stories from our son about the fun, adventures and learning that he has experienced; reinforced by the photos and stories that the school shares with us. NAFL-NPS addresses the educational needs of each child as well as their emotional and social wellbeing. 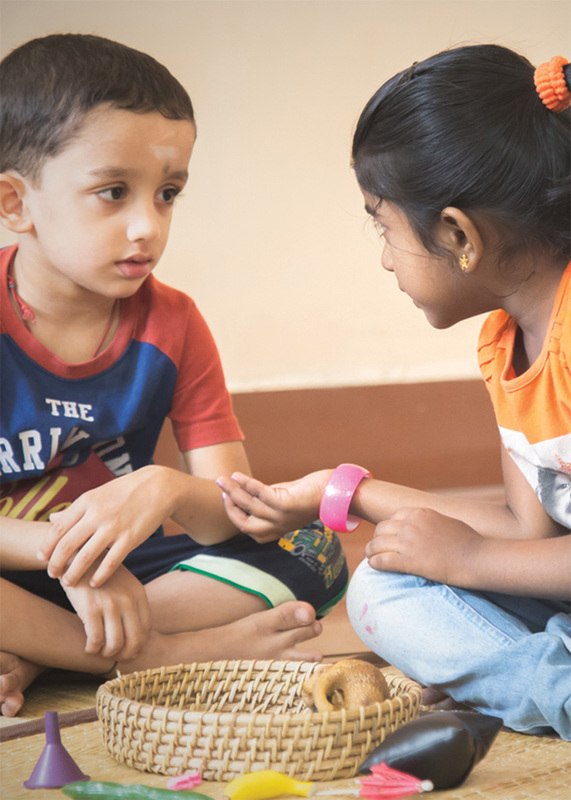 The children participate in programs and activities like Raftaar and Malhaar that encourages them to engage, question and analyse the world around them, enriching their lives and forming a love of learning. NAFL-NPS has been a revelation in terms of the teaching methodologies. What I found really unique is the emphasis on workbook based teaching which is very practical and clearly clarifies the concepts in the child’s mind, rather than conventional memory based teaching. It also encourages the child’s creativity in writing and reading. The idyllic environment, in which NAFL-NPS is housed, is very conducive to overall learning and development of the kids. The wide open spaces and playground encourages children to participate in sports and outdoor activities which is rare in modern cities. The efforts and dedication of the Principal, teachers and other staff members in establishing and running the school is truly inspirational. I also observed that while the teachers are exceptional in their respective subjects, they also genuinely care for the children. As parents, we are proud to be associated with NPS and wish the school to achieve higher levels of excellence. © Copyright 2017 - 2018 NAFL-NPS. All Rights Reserved.